Eat to Accommodate Your Activity Level | Podiatry Associates, P.C. As the weather gets warmer and summertime is fast approaching, whether or not you're trying to slim down for the summer months, your activity levels are probably increasing. If you're hitting the gym or are outside walking, running, hiking, biking, or whatever your activity of choice is, you're likely doing more than you were during those colder, snowier winter months. It's important to eat a diet that gives you the proper nutrients and energy for that increase in activity. Before you exercise, make sure you eat something 30-45 minutes prior to activity that is high in protein, to fuel your muscles for the workout ahead. After your workout or activity, consume another serving of protein soon after exercise, preferably within 30-45 minutes after you have finished. 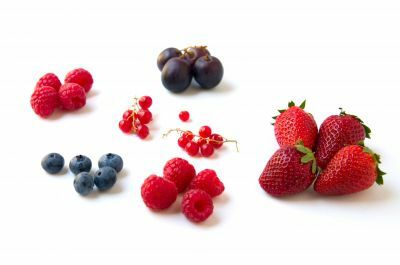 A piece of fruit, such as a banana or handful of berries, will also replenish depleted glycogen stores in your body post-work out. To truly maximize your extra energy expenditure, it is important to eat a well-balanced diet throughout the day. This includes protein, dairy, and lots of vegetables. Many fad diets have slighted carbs and fats; however, these are actually an important aspect of your diet! Eat at least one serving of whole grain carbs and a healthy fat, such as brown rice and avocado (even more if you are an active individual). This provides your body with essential fuels for activity that are a necessity for your body to run properly and optimally. Though you've heard this many times, it is very important to ensure you are drinking plenty of water throughout the day, before and after your workout, especially as temperatures continue to increase over the coming months. Once it starts warming up outside everyone wants to enjoy the weather and get in shape. At Castle Pines Physical Therapy in Castle Pines, CO, or Cherry Creek Physical Therapy in Denver, we can help you create a work out plan tailored to your goals. Contact our office today at 303-805-5156 for a one-on-one evaluation.